Imagine a silent paddle-wheel cruising the Mississippi river in the still of the night stopping only to allow it's passengers the opportunity to feast upon the blood of the unwary populace sleeping in range of the shoreline. 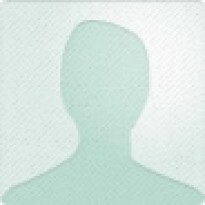 So long as the captain were to avoid a predictable pattern of stops they would be able to terrorize the entire length of the Mississippi and it's tributaries for generations.This is the horrific possibility that Martin conjures within the dark pages of Fevre Dream; a tale of ruthless vampires, a riverman looking for redemption, and an idealistic young vampire who sees a future where vampires no longer need to succumb to the allure of drinking the blood of man.Fevre Dream is a slightly different take on the traditional vampire story. It is set in the busy river-boating days of the late 19th century America. Martin does a few interesting things with the vampire legend that help set this story apart from others covering the same topic. For example he provides a compelling and believable backstory to the drinking of blood while at the same time he obliterates some of the more cloying bits of folklore about how to defend against a vampire.I normally don't read "horror", however Martin's deft hand produced a tale I still enjoyed quite a bit. It's easy to read and flows along as smoothly as the river the book is set upon. To fans of George R. R. Martin's epic fantasy series "A Song of Ice and Fire" Fevre Dream will come as a bit of a surprise; however, it is interesting to note that Fevre Dream was originally published in 1982 and thus gives you a glimpse into the evolution of his writing style. 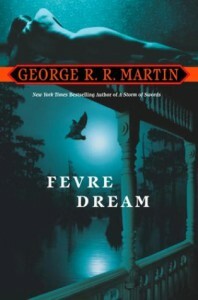 I think that if you like A Song of Ice and Fire you will also enjoy Fevre Dream; just in a different way.